As the IoT era when all objects are connected through the Internet is coming up, a lot of research for wearable electronics has been actively developed. 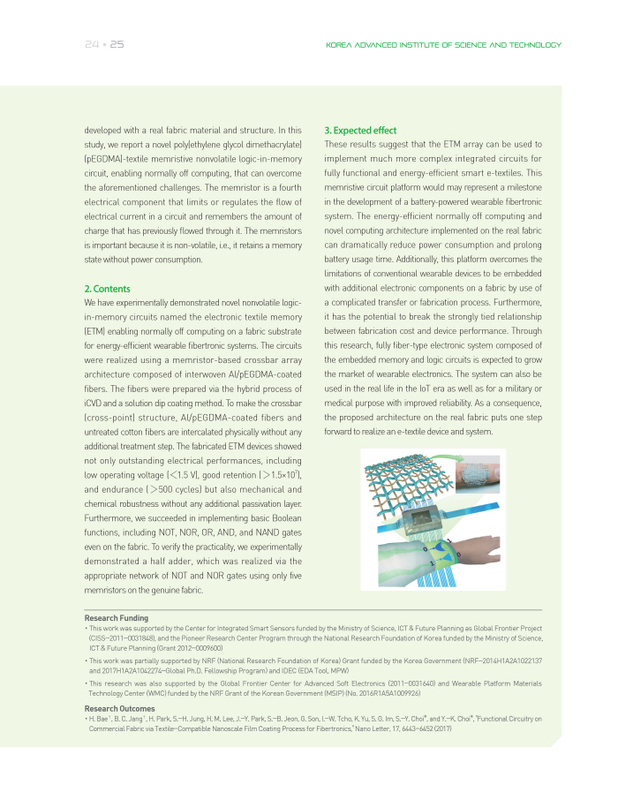 Fabric-based electronic textiles (e-textiles) are the fundamental components of wearable electronic systems, which can provide convenient hand-free access to computer and electronic applications. 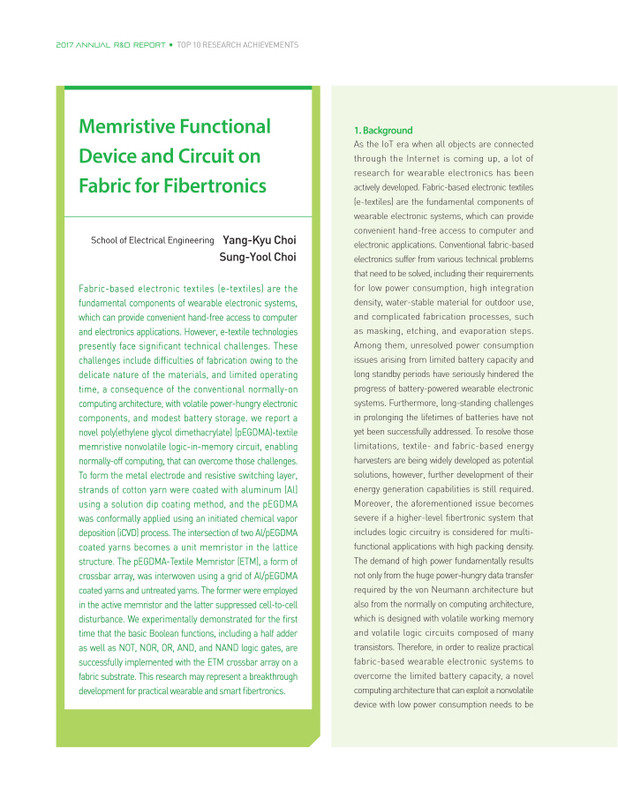 Conventional fabric-based electronics suffer from various technical problems that need to be solved, including their requirements for low power consumption, high integration density, water-stable material for outdoor use, and complicated fabrication processes, such as masking, etching, and evaporation steps.